Chrome blocked download is becoming unbearable right? Here is how to fix it. The Google Chrome is a popular browser with a lot of features such as an inbuilt download feature with a third party download manager. With the download feature, you do not need downloader like the Internet download manager. The inbuilt download manager is worth the whole assignment. While the download process may not be really fast, it better than none. The negative part of the downloader is the built-in feature to delete suspicious sites and files the moment the download is completed without your consent. 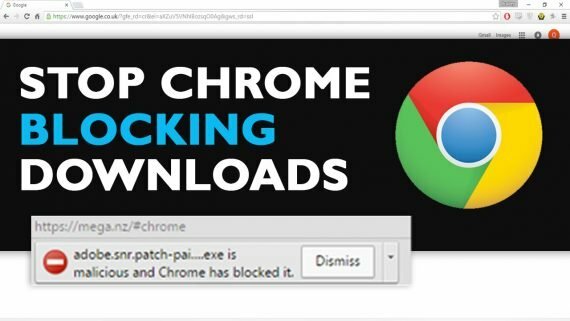 The Google feature “prevent you and your device from malicious sites” allows Chrome to block download files that are suspected to contain a virus or Trojan that can harm your computer. Whether the download is blocked or failed you will not be able to open the downloaded file or unzip it with Winrar or 7Zip if it’s a zip file. However, in this article today, you will learn how to fix the Chrome download blocked popup. Is the Chrome blocked download a virus? Is the Chrome blocked download as a result of outdated Chrome version? Should I uninstall the Google Chrome browser and reinstall to fix Chrome download blocked? The answer to the above questions is a NO NO NO NO… For Chrome blocking download files or labeling the file, a malicious file popup doesn’t mean your Chrome browser is virus affected. Rather, the Chrome download blocked that often pop up when you visit some websites that Chrome doesn’t trust is a built-in feature to make sure that you and your device are secure. After you have disabled the option that says prevent you and your device from malicious sites then navigate back to the site where you want to download the file what’s blocked by Google Chrome after download and download again. Here is a video to fix malicious and chrome has blocked it. Note: This is an important take home you must monitor so that you wouldn’t cause havoc disabling the feature. I’d advise you enable the feature once you have successfully downloaded the file and unzip it so that you will be fully protected again. Apart from the Chrome blocked download feature you may also encounter blockage with Windows defender if you don’t have an Antivirus on your PC. Windows defender also blocks downloads if the download is not failed. Windows defender doesn’t give the option to block the download like Chrome. It instantly trashes and you will not be permitted to access it unless you pause your Windows defender for the moment.